Day 153 in Beijing: The Pure Joy of a Full Passport. 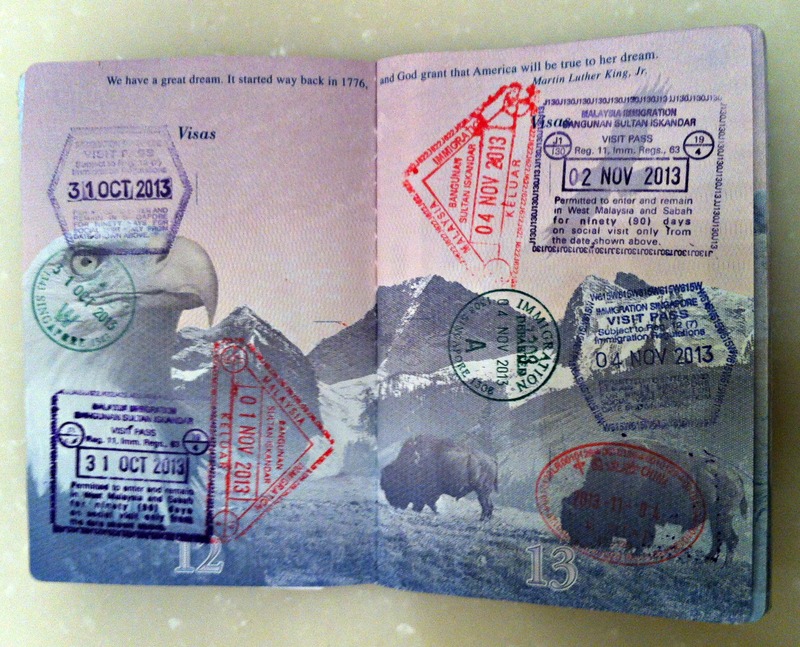 My passport. Three different nations in one day. 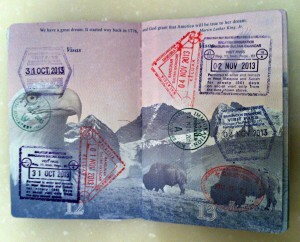 And, to me, one of the true joys of traveling is having a passport full of stamps from different countries. Jill and I just went to Malaysia and Singapore. Malaysia and Singapore are about a 10 minute drive away from each other, over a short bridge, but are culturally quite different. They were a combined nation from 1963 to 1965 but there were too many differences at that point. However, there seems to a free trade agreement that will go into effect soon and the cultures are becoming more alike each day. That being said, going from Malaysia to Singapore, and Singapore to Malaysia, requires a stop at customs on both ends of the bridge and tends to eat up a good amount of time. We were rather amazed at how many people do it and the traffic jams that it creates each day. My passport, because of these trips back and forth from each nation, was stamped many times and I’m getting it more and more full. If you look closely, you’ll see customs stamps from Malaysia, Singapore and China. This was all from one single day as we left our hotel in Johor Bahru, went to Singapore’s Changi Airport, and then arrived in Beijing.